Please let me take a few minutes to tell you about myself. My name is Todd Macecsko. I am a Jersey Shore Local! I was born and raised in Point Pleasant Beach NJ. I am a 1985 graduate of PPBHS. I owned and operated a Gym called Body Shop Fitness in Brick NJ. It was at this point that I knew in what direction I wanted my career path to be. It took what I thought at the time as a devastating lay off to give me the courage to start over. I took the opportunity to go back to school & fulfill my goal in finding a career that allowed me to support my family & that I truly have a passion for. I am a very proud husband & Dad. One of my children has special needs. He has grown leaps & bounds through therapeutic massage. He is my inspiration for having the drive and passion for wanting to help others. For years I have been trying to find my niche in this world and believe I have found it through Massage Therapy. I am a graduate of Institute for Therapeutic Massage- Massage and Bodyworks Program. I am a member of and insured through the American Massage Therapy Association. The modalities offered are Swedish, Deep Tissue, Medical, Pregnancy, Pre and Post Sports massage, Trigger Point Therapy, & Myofascial, Stretching & Muscle Energy Techniques. I work with Special Needs Children & Adults as that is the whole reason I chose to be a Massage Therapist! I have continued my education to include treatment for fibromyalgia, rotator cuff, and reflexology as well. 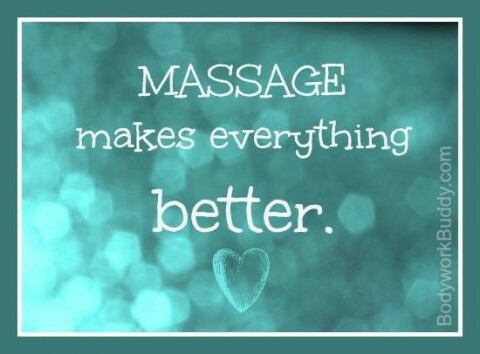 Because of my variety of training I am able to offer you a nice relaxing massage to a more in depth therapeutic massage.